The fire brigade brought in this buzzard, after seeing it hit by a car. We checked him over for injuries but, as we didn't find anything too serious, he was probably just stunned from the impact. 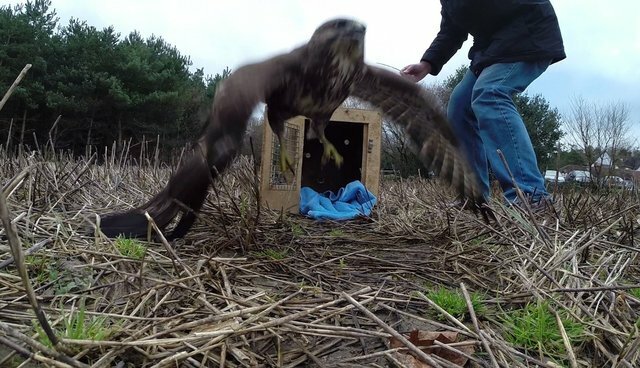 After a few hours of rest in our raptor aviary, he was flying well and was ready to be released back where he was found. The bird was clearly not impressed by our Simon Cowell, as you can see in the video.